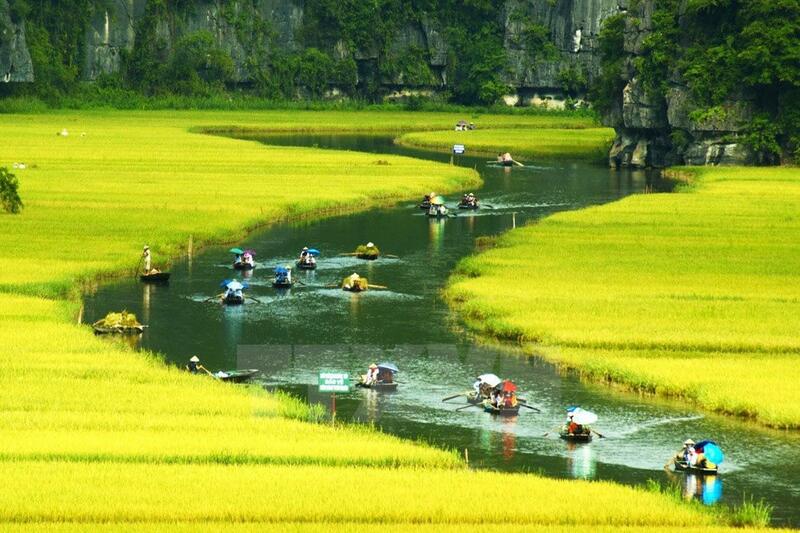 This Ninh Binh day trip takes in the best of the Trang An area. You will visit the magnificent Bai Dinh Pagoda, eat local specialities in a family-run restaurant, and take a boat ride through limestone mountains and vibrant rice paddies. 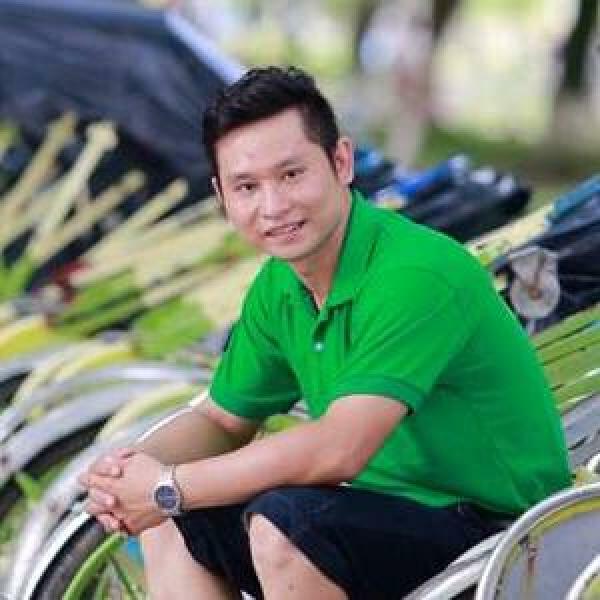 After breakfast, you will meet your guide and driver at your hotel in Hanoi and make the journey together to Ninh Binh. Once out of the city limits you will start to notice the beauty of the Vietnamese countryside. Your first stop will be Bai Dinh Pagoda which is the largest pagoda in the country. Set over an incredible 1,730 acres (700 ha) on the side of a sloping mountain, the location of the temple complex is as impressive as the collection of spiritual spaces. Travel on to a local restaurant where you will try specialities such as roasted goat with elderberry. Take a short rest here before continuing to Trang An. Often referred to as the ‘Halong Bay of the Land’ this area is characterized by rocky, jungle-clad mountains shooting vertically up between patchwork rice paddies. Bright green in summer and golden yellow in autumn, the paddies offer a stark contrast to the dark hills. You will travel through this epic landscape in a small metal boat, along the river that cuts between the paddies and through the rocks themselves in hidden caves. Comfortable shoes, sunscreen, and a camera. Transportation, English speaking guide, bottled water, entrance fees, boat ticket and a local Vietnamese lunch.